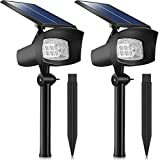 UNIQUE DECORATION - Add some unique hanging decoration to your outdoor space with these solar powered sparkling crystals gazing balls. 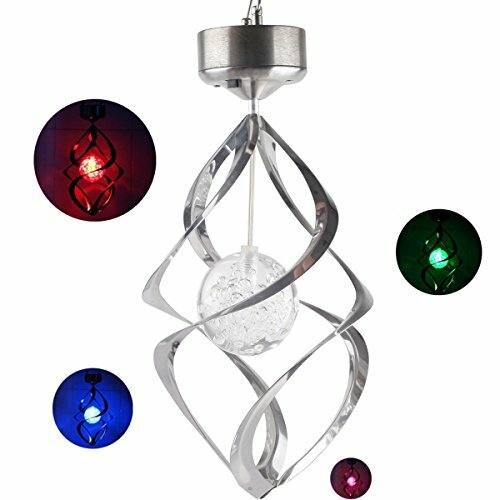 Featuring a color changing LED bulb which hangs in the center of this gazing ball illuminating the crystals at night; calmly and softly changing from one color to the next; adding some unique & awesome decoration to your lawn, garden, patio, yard, etc. SOLAR POWERED - These gazing ball lights are maintenance free. The solar panel on top harnesses the sun's energy and charges the batteries to power the light for up to eight hours on a full charge. No wiring and no batteries to replace or recharge. / Color changing bulb lasts 50,000 Hours. Fantastic attraction and stunning effect great ornament to your garden! 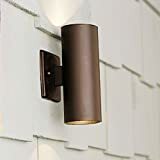 Easy to use and convenient to hang on, no wire needed.Automatically turns on at dusk and off at dawn. 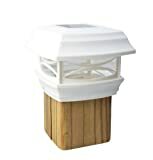 The wind spinning solar LED Light is a fantastic product that can be enjoyed both through the day and at night. The light comes complete with a carabiner clip for secure hanging and spins throughout the day to produce a fantastic effect. The waterproof rating of the product is IP44. You are kindly suggested to pull the switch which is on the back of solar panel into "" ON"" status when you are going to put them under the sunlight for power. Besides, here is a little trick to test the light so please put your palm on the solar panel to peep if there is light or not after charging under the sun for many hours.